Carlsbad Man Convicted: Did he serve time for Golden State Killer's crime? A Carlsbad man spent nearly four decades in prison for a double murder he didn't commit - and now, state investigators are looking into whether the suspected Golden State Killer is responsible. CARLSBAD (NEWS 8) — A Carlsbad man spent nearly four decades in prison for a double murder he didn't commit - and now, state investigators are looking into whether the suspected Golden State Killer is responsible. 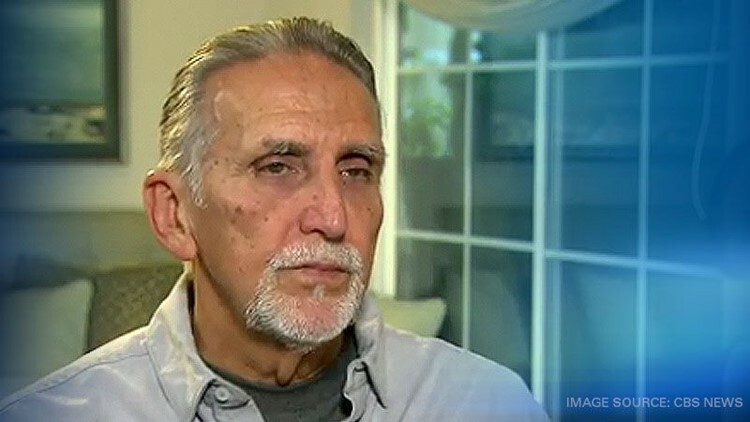 Craig Coley was exonerated last year for the 1978 murders of his ex-girlfriend and her 4-year-old son. "I vividly remember being arrested that day - it was November 11, 1978," said Coley. "[I was] taken to the police station, booked, interviewed. I told them 'you got the wrong guy.'" Coley was sentenced to life in prison without the possibility of parole for two murders he didn't commit. Back in 1978, in Simi Valley his ex-girlfriend Rhonda Wicht was raped and strangled, and her son Donald was suffocated. "They were dear to me," said Coley. "I loved them, and I never had time to grieve their death." Coley spent nearly 40 years behind bars before DNA evidence exonerated him in 2017. Now investigators want to know if the so-called Golden State killer - who's a suspect in 12 murders and more than 50 rapes - could be responsible for their deaths too. "That's a possibility," said Coley. "I think there are other suspects that are more likely. Joseph DeAngelo has already been charged with two murders in Ventura County, where Simi Valley is located. He allegedly killed Lyman and Charlene Smith in 1980. Police have asked for a comparison of DeAngelo's DNA with Wicht's actual killer. "If it doesn't come back a match, we have other leads that we're looking at," said Simi Valley Police Deputy Chief Joseph May. "One thing is, it'll be good that we know we've eliminated a suspect." Last year, police recovered long-lost crime scene evidence and tested it for DNA - technology not available at the time of Coley's trial. The results ruled Coley out as the murderer. Former Simi Valley detective Michael Bender helped win Coley's freedom. Bender quit the police department in 1991 because he was convinced Coley was innocent and then devoted his life to trying to prove it. Coley now lives with him and his wife in Carlsbad. Bender is also curious about DeAngelo but suspects he will not be linked to Wicht and her son. "I would be surprised, but I'm happy to be wrong," said Bender. Wicht's sister is also skeptical the DNA will match. She told CBS News, "Based on what we know of the Golden State Killer's M.O., it is probably doubtful." If you would like to contribute to Craig Coley's GoFundMe, click here.